Cake donuts --- 4 ea. Mix TABASCO Sriracha Sauce with raspberry jam and set aside. Mix sour cream, confectioners’ sugar and water. Coat tops of donuts with sour cream mixture. 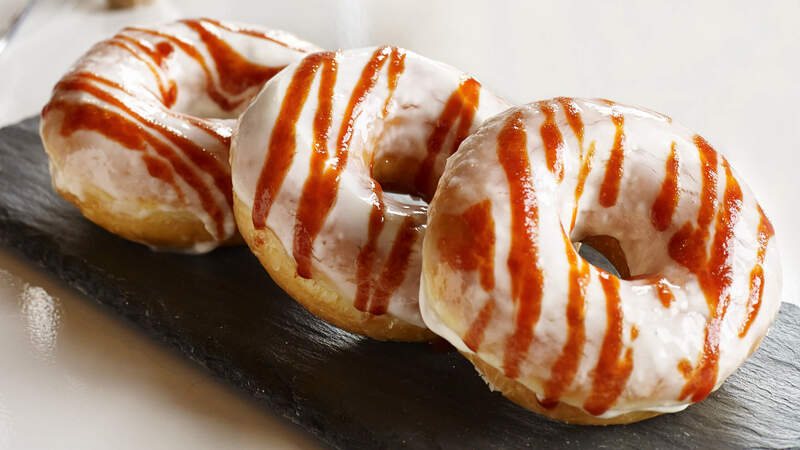 Drizzle Sriracha-raspberry jam across donut tops and serve.